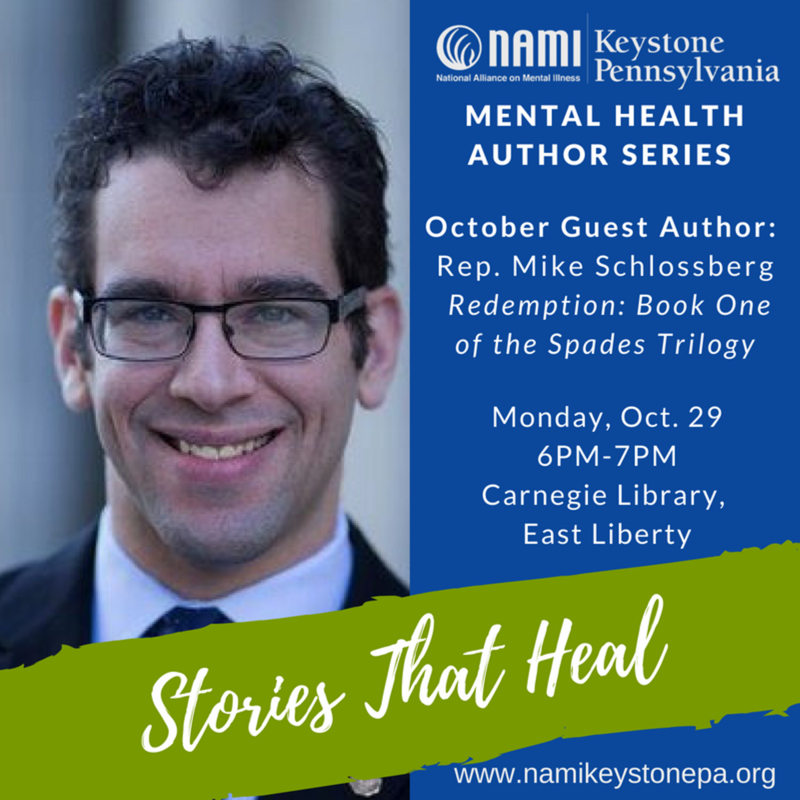 NAMI Keystone Pennsylvania is thrilled to continue our autumn "Stories That Heal" event series this October! "Stories That Heal" is a free author series featuring local authors whose lives have been impacted by mental illness. During the event, the featured author will read an excerpt from their book and be interviewed about their lived experience, followed by an audience Q&A. 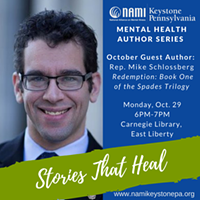 Our October event will feature Rep. Mike Schlossberg, author of "Redemption: Book One of the Spades Trilogy".